There is a disturbing new trend in food writing, one which subverts the prevailing logic of the hospitality industry by embedding deeply personal insults within a highly public medium of transmission: the restaurant receipt. The offending textual inscriptions, whether penned by hand or typed in to blend in with the rest of the computer generated corporate template, the check has now become a potentially sinister vehicle for somewhat anonymous venom directed at the specific server or diner involved within the financial transaction that culminates a purchased meal. 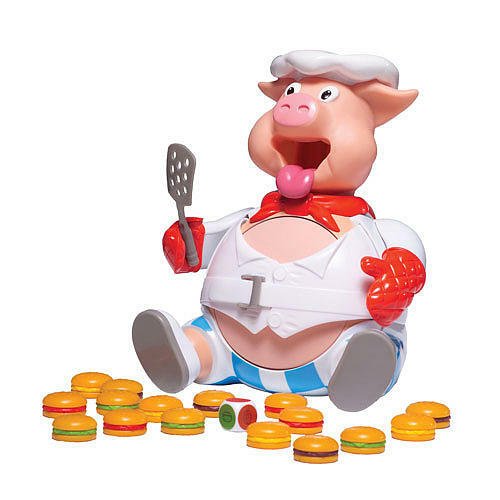 The invective’s relationship to the act of eating is at most circumstantial, in that it is typically composed within the confines of an eating establishment or aimed directly at the purveyor of one’s repast. However, the content of the insult itself goes beyond food and attacks the appearance, behavior, identity (racial, ethnicity, gender), national origin, or marital status of the victim. However, as befits the times, the revenge wreaked upon the offender exposes the scribbler’s ignorance and prejudices for all the world to see and, presumably, to condemn by “publishing” such vitriol via social media. The end result, unsurprisingly, leaves a bad taste in the mouth. A few recent cases in point illustrate the nadir of this trend, which l contend constitutes its own kind of food poisoning. Take the anti-Mexican comment typed within the body of a customer’s order at a Mexican restaurant in Denver. The receipt itself was written in Spanglish, and both the customers at whom this was aimed and the restaurant owner are Mexican American. Or, the apparent hoax at a Red Lobster restaurant in Tennessee, in which the waitress claimed a customer wrote the n-word in a receipt, and the non-tipping patron in question sued her in court for slander. A waitress who wrote a homophobic slur on a bar tab brushed it off by saying it was meant in jest, without apologizing. These disputes simultaneously serve as testaments to the age–in which protests against institutionalized racism and the urgent need for immigration reform have prompted the activism of Black Lives Matter, the Dreamers, and those working towards Marriage Equality, but also sparked reactionary xenophobia and homophobia among petty vandals who think nothing of defacing a public document as a means of venting their ignorant views. Sadly, the real debate a lot of these receipts should give rise to is whether the practice of tipping within the U. S. restaurant industry should continue, a topic newly relevant given the prominence of the Fight for Fifteen movement nationally, which calls for paying restaurant employees of all stripes a living wage. Even when the comments written on receipts are positive, such as when an anonymous Olive Garden diner paid for a Muslim family’s meal on Christmas and expressed his/her admiration for the “beautiful family,” or a restaurant owner who gave a 15% discount to a family for praying before eating their meal and then was pressured into stopping such a “discriminatory” practice, the use of a receipt to convey such sentiments seems to violate our long-held gastronomic social contract of avoiding certain topics, such as politics or religion, during meals to ensure a peaceful and pleasant experience at the table. Other recent examples of receipt writing that have gone viral include efforts to reward breastfeeding in public, fat shame a female customer, and protest the hiring of foreign nationals or just mere humans. In closing, this post is a call for diners and wait-staff to refrain from treating receipts like the comments section on an online publication. Let’s all strive to enjoy our meals and leave one another to digest in peace. And, let the food writing to those Yelpers or Urban Spooners who actually have something to say about the attributes of the food on order, rather than those who eat it or bring it to them. Where does your orange juice come from? As we groggily sit down to breakfast while reading or watching the day’s news, few of us stop to consider where the oranges in the juice we drink each morning came from. However, Florida’s Naturals Growers juice co-op would like to change all that. The company first came to prominence with a series of folksy ads featuring a helpful farmer in a sunny grove placing a carton of orange juice into the eagerly outstretched hand of a mother reaching out through her grocery store’s refrigerator section. Early in 2012, the juice co-op debuted an aggressive new ad campaign to replace the neighborly image they had previously cultivated pitching their product as being “As close to the grove as you can get,” with a somewhat paranoid question addressed to the public at large: “Where does your juice come from?” This new tone dispenses with the friendly emphasis on the direct connection between growers and consumers in its previous ad campaign, and replaces it with a challenge that puts the juice drinker on the defensive, wondering: do I know where my juice comes from? Should I care? This marketing strategy casts aspersions on the ingredient sourcing practices used by the company’s direct competitors by implying that the use of juice from oranges grown outside of the United States is un-patriotic, imperils national food security, or takes jobs away from American orange growers. 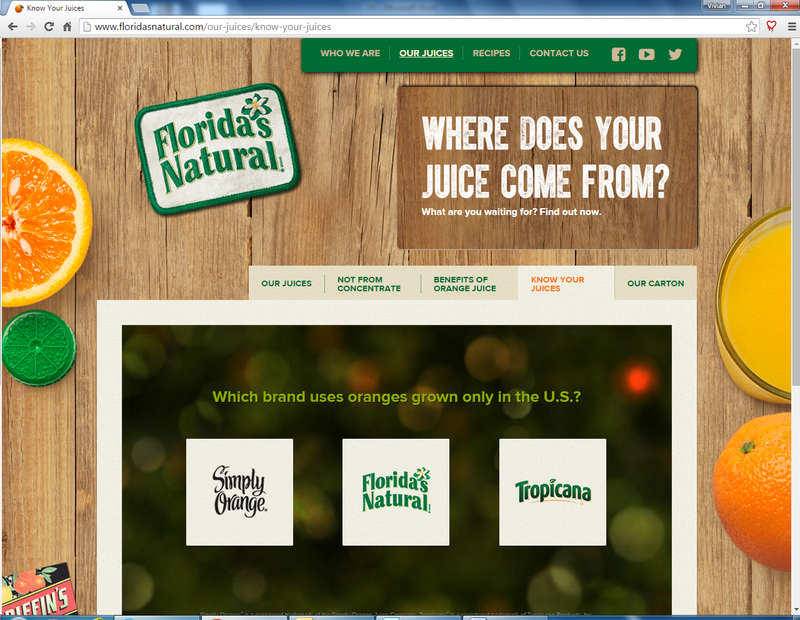 The Florida’s Naturals co-op website features a “Where does your juice come from?” quiz which allows visitors to the site to guess which of three brands of orange juice does not use imported orange juice. The correct answer is, obviously, their own. However, when on e clicks on the pictures of the competitors’ juice bottles, the images flip over to show the back view and zoom in on the items’ country of origin label (COOL), a requirement that dates back to the Tariff Act of 1930 and, in a rather interesting turn of affairs, is overseen not by the Food and Drug Administration, but by U.S. Customs. The “Where does your juice come from?” ad campaign appeals to the latent xenophobia or isolationist tendencies of Florida’s Naturals’ consumers by manipulating the visual proof of their competitors’ compliance with U.S. law, the country of origin label, against them. The zoomed-in pictures of bottles of Simply Orange and Minute Maid Orange juice feature a red circle drawn around the words “US/Brazil,” whereas the image of the carton of Florida’s Naturals Premium Orange juice depicts the tagline “Product of USA” framed by a miniature American flag. The flag conveys patriotism, a sentiment denied to the other two companies even though they combine the juice from U. S. grown, as well as Brazilian, oranges in their bottles. This implication is made manifest even more explicitly once a visitor clicks on the “correct” choice of Florida’s Natural Premium Orange juice. Not only does the question repeated at the top of the page, with the words, “GROWN ONLY IN THE U.S.” visually depicted in bold orange all caps, but the textual “answer” that follows this question, which is already framed on the left side of the screen by an image of the orange juice carton, proudly declares: “Florida’s Natural premium orange juice uses only oranges grown right here in the U.S. / All of our oranges are grown by U. S. Farmers in Florida. And only Florida.” This emphasis on the orange’s “native” grown status casts aspersions on the “foreign” grown oranges blended into the brand’s competitors’ orange juice, thereby implying that this alimentary intermixing of orange juices of different national origins is, at worst, unpatriotic, and at best, a “diluted” inter-Americanism resulting from trade policies like those codified by the North American Free Trade Agreement (NAFTA). Tellingly, the ad campaign says nothing about the nationality of the workers who harvest the orange crops in Florida. While the orange juice inside the package may have all been grown in the United States, the likelihood is that foreign nationals harvested it, whether they are in the country as part of the guest worker program, or they work without documents. One more echo between the anti-importation rhetoric of the orange juice ad campaign and contemporary political discourses surrounding immigration as a dire problem in need of reform is the website’s emphasis on the company’s primary affiliation as that it maintains with the state of Florida, rather than with the entire United States. While the company’s brand has always touted its connection to the Florida orange industry, which is overwhelmingly dedicated to juice production rather than whole fruit consumption as is California’s, the conflation of “U. S. Farmers” with those producing juice fruits “in Florida. And only Florida” comes at a time when individual states have taken steps to try to mitigate what they perceived was the negative economic impact of undocumented immigration through local legislative measures like Arizona (SB 1070), Alabama (HB 56), and Indiana (SEA 590). The New York Times reported that in 2009, 48 states had passed either legislation or resolutions opposing illegal immigration in some measure. While the state law passed by Arizona and signed into law by Governor Jan Brewer (SB1070) was by far the strictest at the time, Alabama soon passed legislation that surpassed it and provided the template for similar immigration measures in other states including Mississippi and Missouri, according to National Public Radio, who has called described the trend as part of a Southern political strategy meant to make life so uncomfortable and difficult for undocumented people that they would leave the states that had enacted such laws, either to return “back home” wherever that might be or move to states with less restrictive policies. That logic at first appeared to have worked in Alabama, where thousands of undocumented laborers as well as legal immigrants who feared the local climate was becoming too intolerant of their presence left the state. The news media broadcast powerful images of crops rotting in the fields and on the trees because there were no workers to pick them during the spring and summer harvests immediately after strict laws were passed in Alabama and Georgia, among others. Lax enforcement of the laws, as well as court-blocked elements meant that laborers returned for the fall harvest, according to Associated Press reporter Kate Brumback. Key provisions of the Arizona legislation were struck down by the Supreme Court in June, 2012, with Chief Justice, John Roberts, siding with the majority decision in affirming that the power to enforce the nation’s immigration laws rests with the federal government, and not with individual states. The Supreme Court struck down the most stringent portions of the laws passed by Arizona and other states with similar provisions in their immigration legislation, those which would lead to profiling of anyone who looks “un-American,” even as it authorized local law enforcement to check on the immigration status of persons detained on suspicion of having committed a crime. That decision caused a ripple effect across the nation, but especially in other Southern and Southwestern states, who either amended their own similar legislation or else decided not to bring similar bills to the floor. In light of such legal reversals, enforcement of such restrictive anti-immigration laws has been lax, and laborers have returned to the fields thereby facilitating the uninterrupted flow of the American food system. The bacteria that cause HLB[Huanglongbing]—three species of Liberibacter—probably originated in China in the early 1900s. In countries where the disease is endemic, citrus trees begin to decline within 5 to 8 years after planting and rarely bear usable fruit. The federal government has responded swiftly, funding both research and containment efforts. 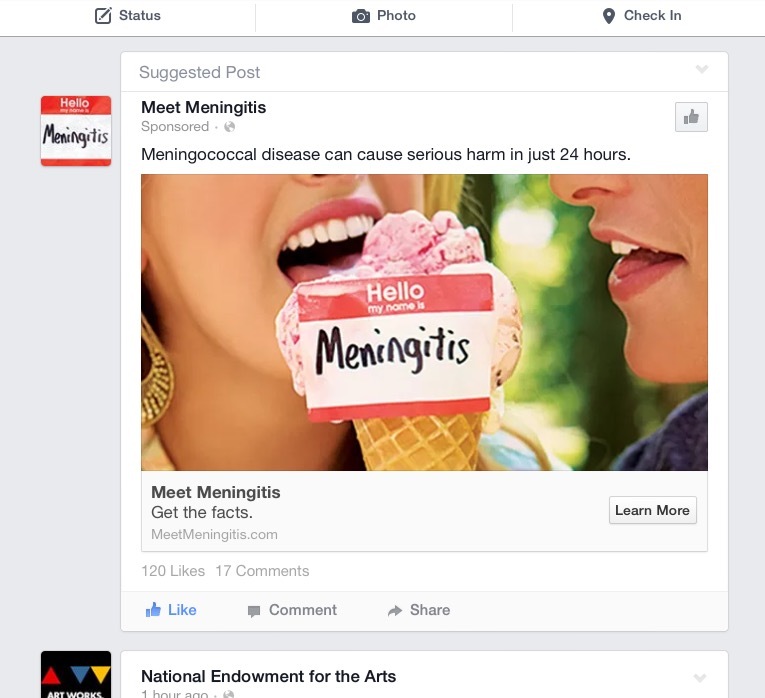 The Associated Press reports that the citrus greening has been spotted in California as well, though in a very small scale, thus truly underscoring the potential impact of this infestation on the citrus industry. The team of scientists working to find a solution for dealing with HLB is made up of experts from all over the world; according to the USDA website, one particular collaboration between ARS scientists in Ft. Pierce, Florida and colleagues from Japan and Viet Nam focuses on trying to understand how interplanting guava with citrus may prevent the spread of HLB. Globalization has now become synonymous with environmental degradation, and the free movement of capital, products, and foodstuffs around the world negates one of the chief engines of biodiversity and ecological health, which is isolation. This logic shows how an element of isolationism and paranoia can slip into the rhetoric of locavorism and health food movements. Ideas of ecological health and hygiene can take on the forms of eugenics, which drove the immigration debates up to and beyond the Second World War. This state of affairs explains why orange juice cartons feature blends of American and Brazilian juices, rather than merely those sourced from Florida. This is not only legal; it has become the norm, with the notable exception of Florida’s Naturals. California’s oranges produce less juice per fruit and, thus, they cater to the whole fruit market rather than the juice industry. The new threat posed by HLB stands to shift the balance of power even further in the international citrus industry, which will likely give rise to more nativist rhetoric. 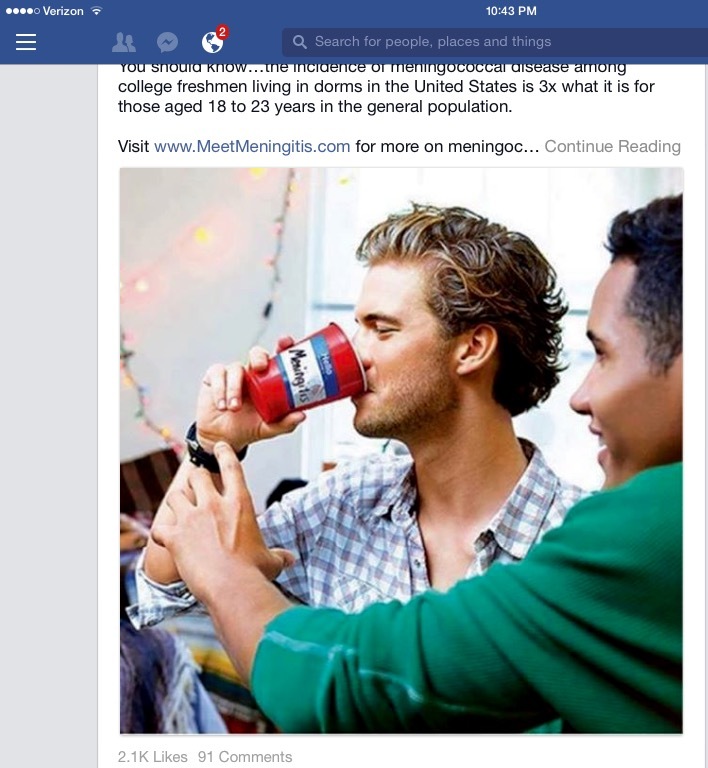 My comments refer specifically to the ad campaign found at the company’s main website: http://www.floridasnatural.com/ Web. January 29, 2013. This line of reasoning feeds into contemporary discussions about food’s carbon footprints and the preference for eating locally raised foods. It also deflects attention away from the hit that orange juice’s reputation as a health food has taken in recent years. 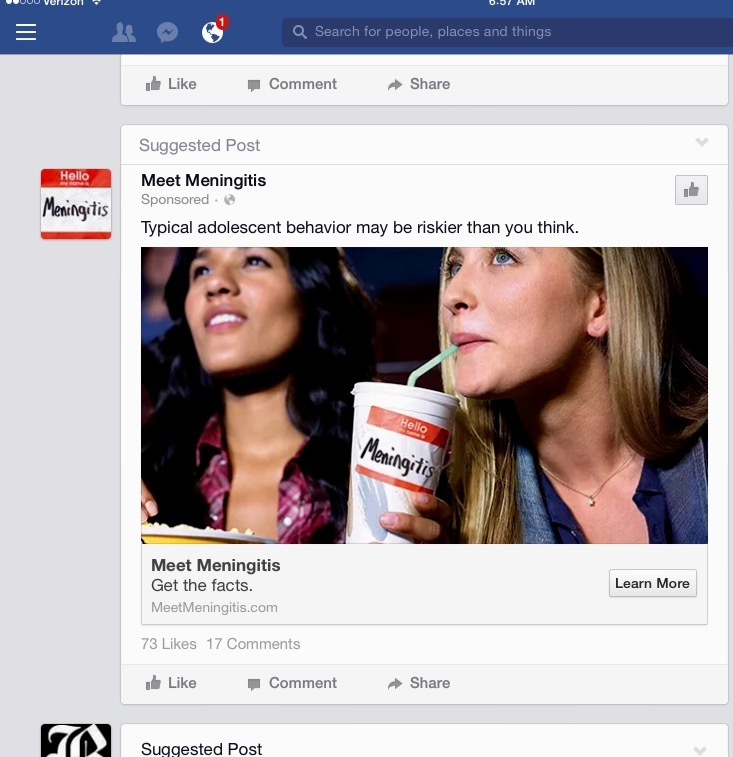 Not only have the net carb-phobes disparaged it, but so have the enemies of sugary drinks. Commercial orange juice is a highly processed food trying to cling to their “natural” aura in the context of a market that is quickly shutting out liquid calories in favor of bottled water. Orange juice can never be local in 90% of the country. 10 ISC 1304(a) and 19 CFR part 134. My info comes from http://www.fda.gov/ICECI/ComplianceManuals/CompliancePolicyGuidanceManual/ucm074567.htm Web. January 29, 2013. Ironically, the California navel orange agricultural industry has its origins in Brazil, as John McPhee recounts in his jaunty cultural history, Oranges. He notes that in 1870, an American Presbyterian missionary sent some navel orange trees to the U.S. Department of Agriculture which then distributed the trees for free. An enterprising California housewife took advantage of this opportunity to experiment with a new cultivar. As McPhee tells it, “In 1873, Mrs. Luther C. Tibbets, of Riverside, California, wrote for a pair of trees, got them, and planted them in her yard. Mrs. Tibbets’ trees caught the attention of her neighbors and, eventually, of the world. From them have descended virtually every navel orange grown anywhere on earth today”(11). This brief citrus genealogy demonstrates the dynamic movement of foodstuffs from the Global South (Brazil) up to the North (California) and across the globe. However, American cultural colonialism is still at work linguistically, in ways that downplay or obscure the Brazilian origins of this quintessentially West Coast citrus. Arizona’s State Bill 1070 is known as the “Support Our Law Enforcement and Safe Neighborhoods Act.” Alabama’s immigration law (House Bill 56) is stricter than Arizona’s. It’s called “Beason-Hammon Alabama Taxpayer and Citizen Protection Act.” Indiana’s immigration law, “Senate Enrolled Act 590,” was modeled after Arizona’s, and I mention it here since it is what is in effect in the state where I have composed this book. http://topics.nytimes.com/top/reference/timestopics/subjects/i/immigration-and-emigration/arizona-immigration-law-sb-1070/index.html Web. February 19, 2013. China-phobia entered the 2012 presidential campaign with Republican candidate Mitt Romney calling for more retributive economic policies. The Atlantic ran a story analyzing the perceived “dangers” of Mitt Romney’s anti-China campaign rhetoric in February of 2012. Comments Off on Where does your orange juice come from? Culinary historian Laura Schenone recounts how traveling to Italy to research “authentic” recipe versions of her father’s favorite dish—ravioli—in The Lost Ravioli Recipes of Hoboken: A Search for Food and Family (2008) helped her forge a stronger personal connection to her mixed Italian-Croatian heritage. Although she has publicly discussed her youthful disavowal of her Italian heritage—in an interview with Publishers Weekly, she said “I never considered myself Italian because of the Italian patriarchy. I had a hard time with Italian machismo growing up,”—Schenone nonetheless pursues her curiosity about two connections to her father’s Italian heritage, a pasta-making tool kept as decoration in her family’s home, and the taste memory of a lost family recipe for ravioli. Through the act of looking for her Italian great-grandmother’s ravioli recipe, Schenone ends up with a new, hybrid ravioli recipe she can incorporate into her future Christmas celebrations. This newly reclaimed food tradition is her connection to an Italian diasporic community. This sudden need to establish meaningful connections to the past through culinary traditions the children could one day claim as their own turns out to have been more fraught for Schenone than she thought at the outset, because her emphasis on some pre-industrial “authenticity” blinded her to the way people approach cooking in their domestic setting: through convenient and delicious short-cuts. So, even when she does find the family recipe for the ravioli her father so cherished, Schenone refuses to accept it as “real” enough for her purposes. Schenone commandeers “an old ravioli press—a handmade grid of small squares—[which] had hung on the kitchen wall above us for decades” (16), from her parent’s house and quizzes aged family members about her great-grandmother’s ravioli recipe, a piece of intellectual property she naively imagines will provide an “authentic” connection to an ethnic past she feels is missing from her life. Unsatisfied when she unearths a version of the recipe which calls for “cream cheese” (20) instead of some more exotic cheese, Schenone decides to travel to Genoa and interview old ravioli makers. Schenone’s stubborn refusal to accept the recipe that emerges from her relentless questioning constitutes her first instance of flawed culinary revisionism within the memoir—what she ends up revising by the memoir’s end is not an old tradition after all, but rather her own misconceptions about the past. Finding the ravioli recipe does not resolve this dilemma for Schenone, but it does make her more aware of the specific ways through which her whiteness is coded within mainstream American culture. Based purely on her name and her curly hair, other people automatically treat Schenone as an Italian American woman from New Jersey, with the attendant stereotyping that label involves. By imagining her great-grandmother as a pioneering multiculturalist, Schenone once again projects her own current values backwards to the past, but this time in a self-aware way that validates the spirit of her ancestor’s ingenuity rather than disdaining it. In reclaiming her own ethnic heritage to pass down to her children, Schenone herself performs her own twenty-first century American identity, one which deconstructs the privilege of whiteness in order to establish affective ties with earlier diasporas. Whereas this fantasy scenario casts the deterritorialization of immigration in a cheerful light, the trauma of being uprooted can be passed down through the generations. Schenone sees her own impulse to find a nutritional identity within a diasporic tradition as resulting in a gift she can bestow upon her own children and their descendants. Her eleven year old son confirms that her sacrifice is worth it when he declares: “‘We need to have tradition. We need to have history. I’ll make the ravioli some day and pass them on to my kids too!’” (257). Lucky for him, his mother has left him more than a hand-written recipe with which to reclaim his heritage. He has a 300 page memoir with recipes and photo illustrations to guide him and his future spouse in their culinary endeavors, yet another nod at how artificially constructed this family tradition has become. Rotella, Mark. “Ravioli Lost, Adventure Found.” Publishers Weekly 254.39 (2007): 46. Schenone, Laura. A Thousand Years Over a Hot Stove: A History of American Women Told Through Food, Recipes and Remembrances. New York: W. W. Norton & Company, 2004. ——. 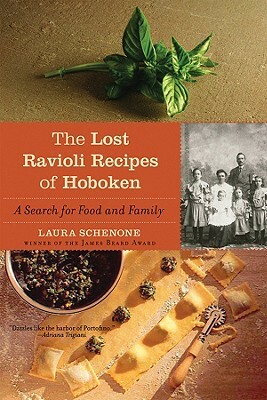 The Lost Ravioli Recipes of Hoboken: A Search for Food and Family. New York: WW Norton & Company, 2008. The 1993 release of Alfonso Arau’s film adaptation of his wife’s novel, Como Agua Para Chocolate (Like Water for Chocolate) took place amidst an interesting set of circumstances: on the literary front, the early 1990s marked the rise of the female versions of magical realism, the type of narrative style popularized by male writers like Gabriel García Márquez, and which rendered depictions of everyday life suddenly uncanny and fantastical through the intervention of supernatural elements that did not faze the inhabitants of such fictional small towns. Women novelists like Chile’s Isabel Allende finally captured the global limelight, putting their own feminine and feminist spin on these tales of enhanced reality by suggesting that those tasks we traditionally read as part of “women’s work” may not be quite as banal as they may appear at first glance. Among this group of writers, Laura Esquivel, author of Like Water for Chocolate, achieved cross-over success by emphasizing the inherent magic in vernacular knowledge—such as kitchen lore—which had been disdained by women of means as well as the rising number of women now employed outside the home who were turning to prepared or fast food to feed their families rather than spend hours in the kitchen after a busy day at work. By using her fiction to conjure visions of an earlier time—the Mexican Revolution (1910-20)—when the modern nation was taking shape and women still possessed the traditional culinary secrets passed down the generations, Esquivel suggests that even those subject to unfair and sexist rules can exercise some measure of power by wielding the tools available to them, in this case, the kitchen, to achieve their own ends. Arau’s film is a love story, set against the background of political unrest and unresolved family hostility. That is standard fare. Where it distinguishes itself from the countless other “costume dramas” that grace the screens of many a multiplex is in its unabashedly luscious depiction of cooking as a sensual, transformative process through which a set of humble ingredients become an appetizing meal. The film portrays home cooking as a culturally sanctioned activity that productively channels women’s creativity, comforts the sad and weary, and seduces by fully conveying the depths of one’s love and desire for a beloved in a delicious bite. The genius of this particular film lies in its ability to celebrate both parts of the culinary equation: not just the cooking, but the consumption of the finished dishes as well. For, the eaters on the screen serve as stand-ins for the audience, and what better way to demonstrate the extent of the protagonist, Tita’s, remarkable culinary talent than by showing how much eating her food affects those who partake of it. Tita’s supernatural skill impacts not just her family, but members of her community as well, especially on those occasions where she prepares the food that accompanies large, public celebrations. Araujo’s film and Esquivel’s novel before it highlight the intimacy inherent in cooking and eating, a lot of which is lost when we consume mass-produced goods made by unseen hands (or machines). 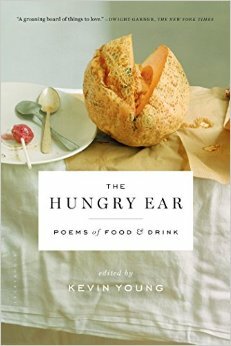 Both film and novel suggest that food—its preparation and its consumption—constitutes an embodied language of its own, whose codes can be deciphered in person (by smelling, hearing, tasting) or virtually, through the visual spectacle of the well composed dish and the manifest body language that conveys the eaters’ pleasure. The language of cooking and eating needs no subtitles; it can be read cross-culturally. The film’s critical and commercial success still inspires other food-novel adaptations, following the formula of portraying women as having an innately mystical relationship to food and/or cooking. Among such works are Lasse Hallstrom’s adaptation of Joanne Harris’ novel Chocolat, released in 2000 and starring Johnny Depp and Juliette Binoche; and Paul Berges’ 2005 adaptation of the novel The Mistress of Spices, written by Chitra Bannerjee Divakaruni, and starring Aishwarya Ray Bachchan and Dylan McDermott, fresh off his stint playing the lead in the TV series The Practice. As of September 2014, a film adaptation of Aimee Bender’s novel, The Particular Sadness of Lemon Cake, is in production. I would argue, that regardless of any other flaws they may have, where these films fall short of the original Like Water for Chocolate’s spell-binding effect, is in their effort to translate another country’s foodways for American audiences, all the while trying to dramatize the trials and tribulations of cross-cultural attraction and romance. By drawing global audiences into the world of a very specific and turbulent period in Mexico’s history—its Revolution—and making us work hard to follow the story along by reading the subtitles, Like Water for Chocolate reminds its viewers that they are but guests at this gathering. None of the featured dishes match our expectation for what Mexican cuisine should be, based on our limited exposure to that country’s regional specialties. The promised reward of commensality, though virtual, makes the effort well worth it.